Is the EU’s new regional strategy the same as its last regional strategy? Not entirely. When Latvia took over the presidency of the European Union in January it included becoming more engaged in Central Asia among its list of priorities. The EU’s overarching Central Asia strategy was last laid out in detail in 2007 and labeled a “strategy for a new partnership.” The brochure was updated in 2009. RFE/RL reports that soon the EU’s Central Asia strategy will be updated again, presumably at a June 22 meeting of foreign minister in Luxembourg. According to RFE/RL, the new strategy will put more focus on “serious challenges to human rights” in the region. The 2007 strategy identified “security and stability” as the EU’s strategic interests in the region. The document did not ignore human rights–placing emphasis on dialogues–but skipped over topics such as torture. Focus was placed on rule of law, combating corruption, and stemming the drug trade flowing out of Afghanistan. The new strategy, which RFE/RL reviewed, is “short on concrete actions on human rights” but “says EU priorities in Central Asia include promotion of respect for the freedoms of assembly, association, expression, and religion or belief, as well as encouraging the rights of women, children, and minorities.” The new strategy also contains a pledge to eradicate torture. Europe and the United States have both tried to pursue deeper relationships with the region, but are often seen as clumsy in trying to balance economic and security interests with human rights concerns. Central Asia is politically, economically, and geographically closer to Russia and China–which offer economic and security engagement without strings. The importance of Russia and China cannot be downplayed, but they apparently aren’t mentioned by name in the new EU strategy. Elena Urlaeva, head of the Uzbek Human Rights Defenders’ Alliance, who was detained and abused by Uzbek police on May 31 when she was caught photographing forced labor, was carrying an information sheet on the ILO conventions. The new EU Central Asia strategy will reportedly also place greater emphasis on human rights defenders, saying they “deserve special attention and EU support.” As the strategy reportedly lacks concrete steps, it is unlikely to placate those who would like to see a little less talk, and a little more action. 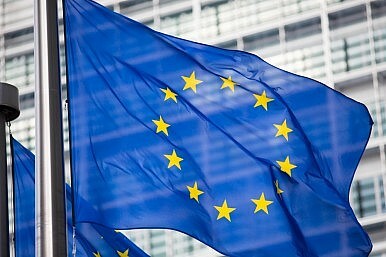 “For the EU, democracy should be a sine qua non,” a recent policy analysis stressed. Central Asia ‘Extremely Important’ to the European UnionChina’s Belt and Road Gets a Central Asian BoostUzbekistan Aims to Move Regional Cooperation From Talking Points to RealityThe Disconnect Between the EU's Central Asia Strategy and RealityHow is Russia Losing Ground in Central Asia?